Eurodollar is still moving upwards, but this growth is probably a correction. 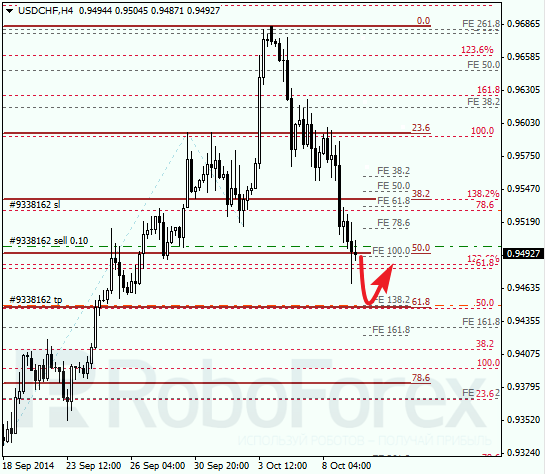 The closest target is the group of fibo-levels at local retracement 61.8%. If the price rebounds from it, the pair may start resume falling. 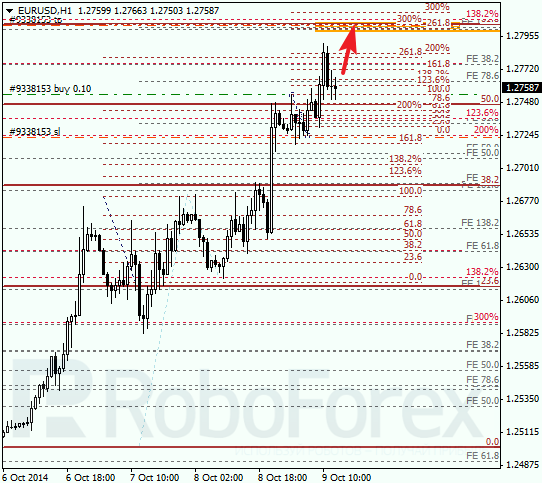 At H1 chart, the predicted targets are confirmed by local retracements. It looks like the market may break the previous maximum during the day, which will allow me to move the stop loss on my buy order to breakeven. Franc has also started a deeper correction. Most likely, the price may reach a local retracement 61.8%, which is confirmed by several more fibo-levels. During a correction, I’ve opened a short-tern sell order. 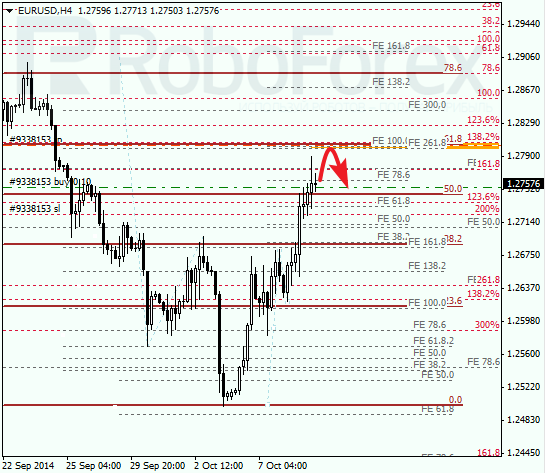 As we can see at H1 chart, the target area is confirmed by local retracements. If bears are able to rebound from it, the pair may reverse or, at least, start a deeper correction.